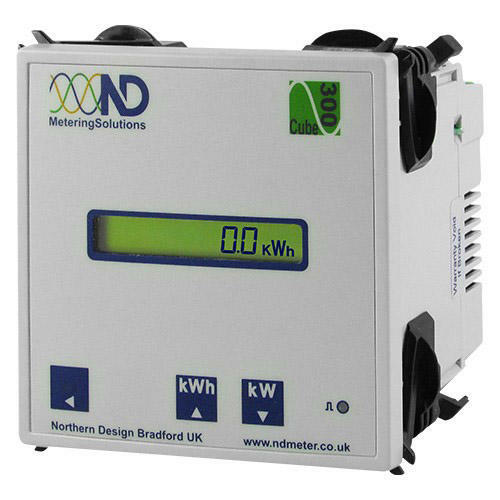 The Cube 400 is a powerful 96x96mm panel mounted electricity meter and power monitor. It is CT operated and has a programmable VT input. The standard build is for a 5 Amp CT input, however a 1 amp input model can be ordered upon request. 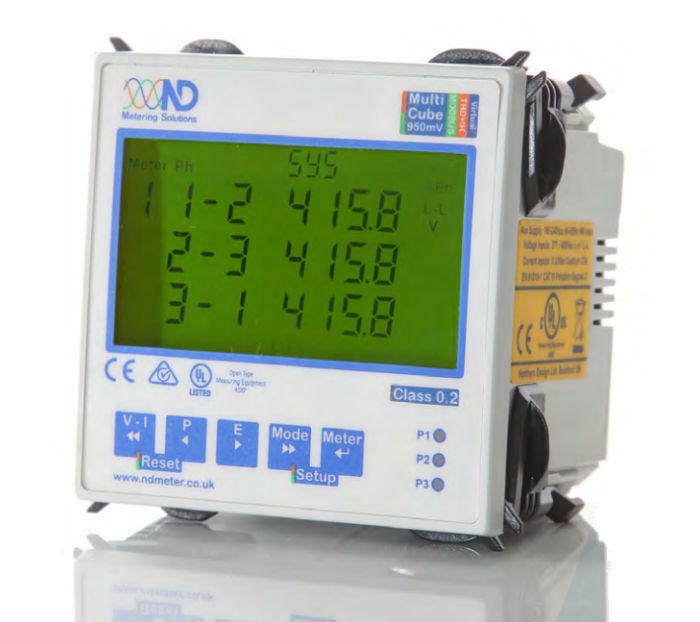 This meter has a significant number of parameters that can be used to analyse a power system. It displays Import and Export Energy (kWh) to an accuracy better than class 1. In addition, Import and Export Reactive Energy (kVArh) are available along with Apparent Energy (kVAh), Hours Run (hr) and Frequency (Hz). Power (W), Apparent Power (kVA), Reactive Power (kVAr), Power Factor (pf), Current (I) and Live to Live and Live to Neutral Voltage (V) are available for individual phases and as a total. The THD add on includes Total Harmonic Distortion for Volts and Current on individual harmonics between the 2nd and 15th. Peak values, time averaged values and peak time averaged values are also available for Current (I) and Live to Neutral Voltage (V). Mean Demand and Peak Hold Mean Demand are available for kW, kVA and kVAr. As standard the Cube 400 comes with 2 pulse outputs for kWh and kVArh; both are configurable for both duration and rate.